My beloved computer LANDRU died an untimely death, at the hands of XP, a few days ago. I thought I’d managed to back up everything of worth, but now I am finding that that was not the case. I’m kind of afraid to be poking too strenuously into my backups right now, for fear of what I might not find. Long story short, the new LANDRU is up and running, with XP re-installed. All this is due to the migration from PalmOS to Windows Mobile. I still have not found a way to convert all my Palm Desktop data to Outlook format. So for those of you awaiting emails from me… I’m minimizing my computer time these days, so you’ll have to wait a little longer. In a gush of both procrastination and sentimentality, I decided to dial up a few episodes of “classic” Dr Who, now that the present season of the new Who is complete. In my youth, I stopped watching at the start of the Colin Baker years, and did not return to the fold until Chris Eccleston brought our favourite Time Lord back to the small screen. I didn’t think I’d missed much, since those lost years are known for their reduced budgets and discontented stars and producers. 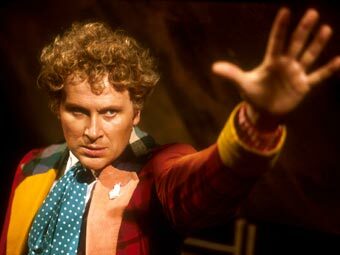 Last night I watched an entire season of Colin Baker episodes, the ones making up the arc called, “Trial of a Time Lord”. I was verily impressed. There’s a certain cleverness and maturity that classic Who had that the new ones haven’t quite grasped yet. I’m still a fan of both, but I think it’s worth considering what has been lost.